The rapid ramp-up toward review season continues this week, as evidenced by an absolute mountain of trailers for you to climb, Sisyphus-style. No Man’s Sky, Theme Hospital, We Happy Few, new expansions for Hollow Knight and Total War: Rome II—they’re all due within the next few weeks. Phew. That, plus the story of a man who tried to sue Star Citizen to get his $4,500 back, Todd Howard says “never say never” to the idea of another New Vegas (but he kind of means never), and The Culling 2 ’s brutal failure and subsequent removal from Steam acts as a warning to anyone developing a battle royale game at the moment. This is gaming news for July 16 to 20. Pride of place this week to Zachtronics, developers of puzzling classics TIS-100, Shenzhen I/O, Infinifactory, SpaceChem, and more. One hell of a resume, and now there’s another entry upcoming: Exapunks. Announced this week, it’s a hacking game—which immediately calls to mind comparisons to the superb Hacknet, but we’ll see. Theme Hospital spiritual successor Two Point Hospital is one of my most anticipated releases of 2018. This week Sega nailed down a release date for our doctor dreams: August 30. Not too far off, and the date comes courtesy of a new trailer, which shines a light on the deadly “Cubism” disease. No Man’s Sky may end up being one of the strangest sagas in gaming, and an object lesson in the “Games as a Service” mindset developers have to adopt nowadays. We’re coming up on two years since its initial release, and the new NEXT update is set to completely overhaul the game—add multiplayer, improve the visuals, allow for unlimited base-building. It...almost sounds like the game people thought they were getting in 2016? The NEXT update is due to release next week, July 24, so we’ll have more thoughts once it’s live. Fascinating though. I’m hoping Sea of Thieves gets the same treatment as No Man’s Sky, to be honest. Both suffered from the same issue—a fantastic core concept with tons of unfulfilled potential. Sea of Thieves is churning out fixes, though. The “Cursed Sails” update is due to arrive July 31, adding computer-controlled ships full of skeletons to the ocean, and (more importantly) allowing player-helmed ships to join into allied fleets temporarily. Now that Call of Duty: Black Ops IIII won’t have a single-player campaign, those looking for some semblance of story are stuck with the silly Zombies mode, which...eh. Not quite the same. On the other hand, this trailer’s got a zombified tiger, the Titanic, a Roman arena, and some very dumb takes on Nietzsche. Looks like a fun time, if you’re a Zombies fan. Almost a year and a half since Hollow Knight first released, developer Team Cherry is still releasing free expansions for what was already one of the largest Metroidvania-type games I’ve ever played. The latest—and last—is known as Gods & Glory. It's due to release August 23, adding new bosses, new characters, new quests, and more. Congrats to Team Cherry on the victory lap. Well-earned. Why does Total War: Rome II keep getting expansions? I honestly couldn’t tell you, and yet five years after its dismal release Creative Assembly keeps putting out more of it. Is it good now? I may never know. Those of you still playing, though, will be happy to know there’s yet another expansion coming August 9, Rise of the Republic. Pretty obvious what this one’s about, I think. I don’t know how that makes even one lick of sense given Bethesda has a publishing arm as well as a development arm—for instance, they are working with Avalanche on Rage 2. But uh, there’s your answer. I’m confused. Last time I played We Happy Few it was a generic survival/crafting game. Now it looks...maybe like a normal, story-driven game? I’m intrigued if so, because I always thought the world and aesthetic of We Happy Few were its best assets, and the crafting stuff kind-of boring. There’s a new (lengthy) trailer, but I suspect we won’t know for sure until it releases next month, August 10. Tentatively looking forward to it. 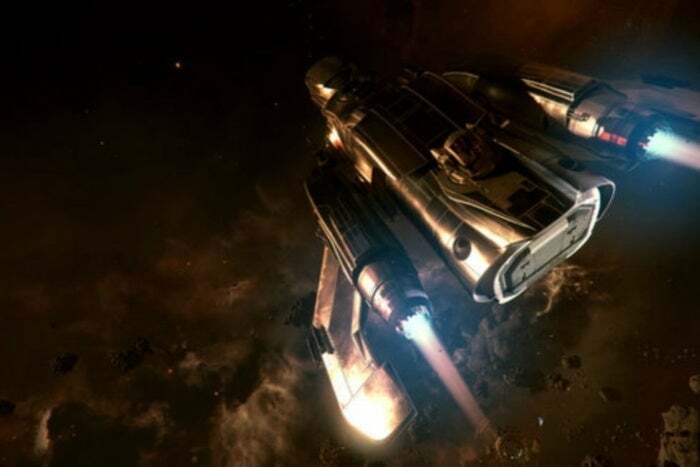 Star Citizen continues to be a sort-of slow-motion train wreck you hope miraculously fixes itself, while you also fear it won’t. This week, in drama: A man named Ken Lord sued Roberts Space Industries in small claims court to get back the $4,500 he donated to the project. He lost, with RSI arguing that he’d accepted a Terms of Service clause waiving his right to sue. The problem: Lord’s first donation came in 2012, before that clause even existed. And finally, the sad and strange tale of The Culling 2 this week. The Culling, if you don’t know, was one of the early battle royale games, or at least a battle royale look-alike. Before PUBG made 100 player matches the standard, The Culling opted for smaller, 16-person engagements. People generally liked it, at least at first—though by the time it exited Early Access, player counts had fallen off. So, the sequel. Released last week, The Culling 2 showed up on Steam, peaked at 249 players (total), quickly fell to almost zero, and...that was it. It went so poorly Xaviant then took the almost unprecedented step of removing the game from Steam completely, refunding anyone who purchased, and issuing an apology. Not just an apology—apparently the path forward here is actually The Culling, the original? Xaviant is re-releasing The Culling as it existed at the beginning, on the first day of Early Access. Called (appropriately) The Culling: Day One, Xaviant is starting over from the same foundation as last time and will see where development leads. A bizarre story, but best of luck to them.